Vietnamese Recovery Teams (VRTs) are a newer, more developed version of the Vietnamese Office for Seeking Missing Personnel (VNOSMP). The latter has conducted MIA investigations and excavations for years with JPAC team members and continues to do so; however, the VRT recovery model was designed specifically as a modified unilateral arrangement to help speed up our MIA recoveries in Vietnam. VRTs work unilaterally with oversight from JPACs in-country experts at Detachment 2 in Hanoi , along with anthropologists from headquarters in Hawaii. 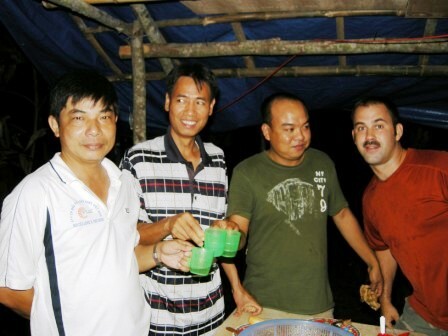 The attached image includes team members from the VNOSMP and JPAC, both of whom worked on Jerry’s and Al’s excavation in August, 2010. Q. Will JPACs MIA operations continue in Vietnam, Laos and Cambodia? A. Yes, but to what extent JPAC will continue to field large teams is still unknown. Word is expected to come soon. The general consensus among long-time followers of operations in Southeast Asia is that JPAC will maintain a “lighter” footprint – translation: any significant reduction will not come immediately, but rather over time with more responsibility given to the VRTs (at least in Vietnam). Remember, each country involved in the Vietnam War — meaning Vietnam, Laos and Cambodia — has its own government, and our relationships vary from one country to another – as do the physical challenges. Q. Will the VRTs assume a greater role? A. Yes. VRTs can help reduce our country’s financial burden for recovery efforts in Vietnam; offer access to more sites which may be closed to U.S. teams; continue to provide a goodwill link between our two countries; and become an important go-between for the transfer of U.S. MIA remains from locals and/or from Vietnamese storage facilities — largely with no questions asked. It is my understanding that Laos and Cambodia do not have a VRT-type option. Q. What is the downside to VRTs? A. In my opinion, placing too much emphasis on the VRTs would be a mistake. It is important to make a gradual reduction of JPACs boots-on-the ground presence, or risk losing the Vietnamese government’s feelings of urgency or respect for our recovery system. Respect is very important in Asia, so it is essential that the mission not be denigrated in any way. 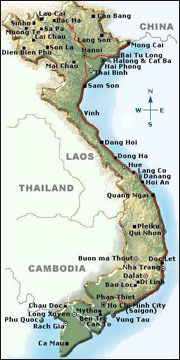 Vietnam is a small country and word travels quickly. Q. What about operations in Laos and Cambodia? A. Currently, Maj Gen Tom, JPAC Commander, is in the process of renegotiating JPACs helicopter permit with the Laotian government and hopefully this will be done soon. Interestingly, Cambodia is the easiest country to work with; however, we have less than 55 MIA personnel still unaccounted-for in that country – JPAC continues to chip away at that number and just completed a month of Joint Field Operations in Cambodia, where the work is challenging because of the devastation suffered by the Cambodians from the Khmer Rouge. Q. Is there anything good about the 2010 National Defense Authorization Act (NDAA)? A. Yes. Money talks, and the mandate has boosted JPACs financial resources, enabling them to increase operations in WWII locations and elsewhere and to fund much-needed changes to its Central Identification Laboratory (CIL). 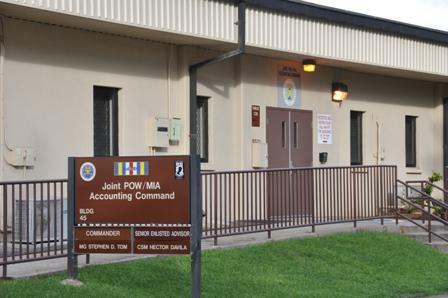 The lab now has a new facility under construction on Hickam AFB in Honolulu; a satellite lab soon to open on Offutt Air Force Base in Nebraska; the ability to hire additional anthropologists/scientists to help speed up identification efforts; and perhaps most important, a head start in the race to 2015 when the CIL is required to meet the demands of the mandate, namely, producing 200 identifications annually with contributions from all past wars. Currently, the lab is averaging about 80 to 100 identifications a year. Q. What’s the downside to the NDAA mandate? A. Let me count the ways…. I cannot possibly understand how anyone could expect an historical forensic organization to make a specific number of identifications annually, unless there is something that we don’t know about the process – perhaps the backlog of remains in JPACs lab is so huge that new technology will keep them busy working in the lab. However, field operations will always be critical, but we have enough trouble finding people who are alive, never mind deceased for 40 to 60 years, and the CIL needs the remains of our MIAs before they can begin the identification process. My assumption is that U.S. recovery experts have the ability to find remains from every war, but they need to belong to our servicemen – not those of other countries, and that is not an easy task. Remember, every war that we ever fought involved another side, and their remains are out there too. Witness accounts are helpful but not always accurate, especially decades later. Q. Does the CIL get credit for identifying remains that belong to other countries? A. I doubt it, but I don’t know. When the CIL is specifically conducting an “outside” humanitarian effort, such as helping to identify victims of an earthquake, hurricane, etc, that is an entirely different situation and seemingly has nothing to do with the mandate. My understanding is that the CIL is dedicated primarily to identifying the remains of our servicemen and civilians who lost their lives while supporting our country during WWII, Korean War, Cold War, Vietnam War, etc. Q. How long have I been working on Jerry’s case and what is the most important thing I’ve learned? A. I’ve been working at the current pace for about four years, but actually started while living in Hong Kong eight years ago. Above all, I’ve learned that finding our loved ones from the Vietnam War is a very difficult job. I will always respect the people who do this work and ask others to learn everything about the process before criticizing. Constructive criticism, backed by solid evidence, can be helpful, but we are at a very difficult time in our history, and sometimes well-meaning people do more harm than good. We have over 80,000 unaccounted-for MIAs from past wars – this is a huge job. The Internet has generated an urgency in recoveries and identifications of our MIAs from all past wars that cannot be fulfilled in a so-called “new age” time frame. The recent cancellation of field operations in North Korea is an example of how unpredicatable MIA recovery operations can be.